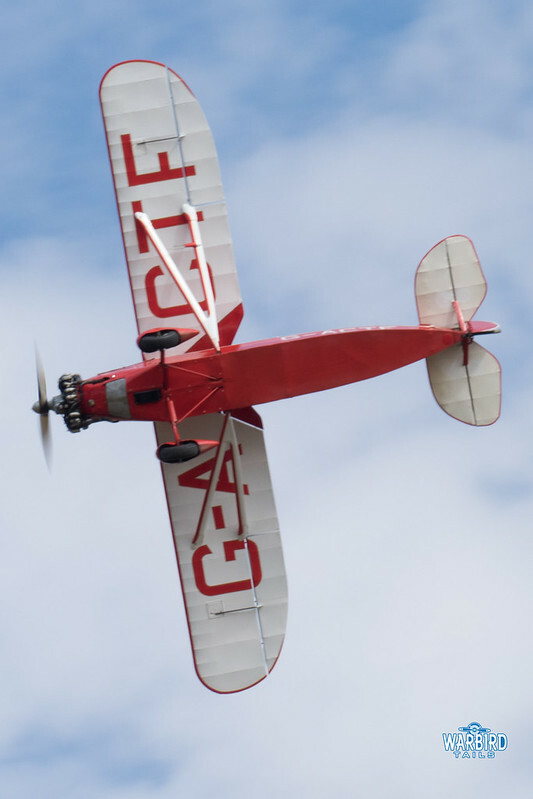 The 2018 Shuttleworth Collection August airshow took on a family theme, with a wide range of different aircraft and acts on display. 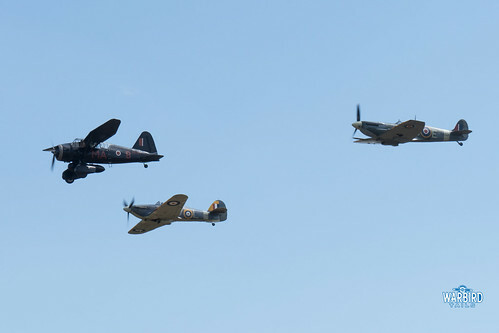 The show got underway with the impressive collection WW2 trio of Spitfire, Sea Hurricane and Lysander. 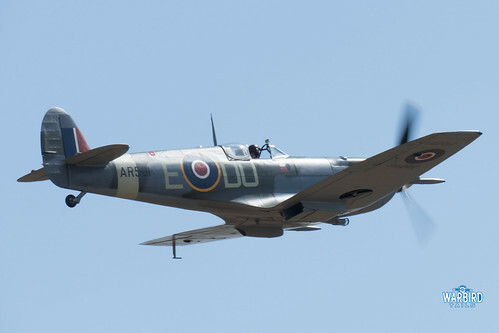 It really has been such a positive sight to have the Spitfire included in each display this year, especially with the aircraft being displayed in such fine style. 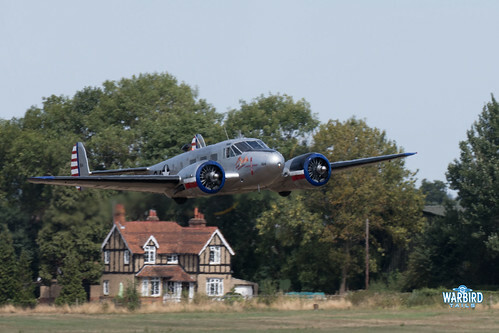 Muti-engined military types were also presented with a dynamic pairing of Avro XIX and Beech 18, the latter of which delivered a sprightly Old Warden debut. 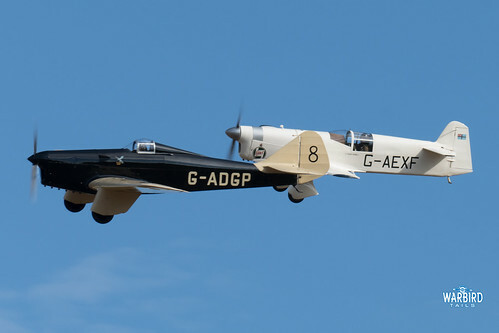 A real highlight of this show was a wonderful pairs sequence from the Old Warden based DH89 Dragon Rapide alongside Mark Miller’s Duxford based example. 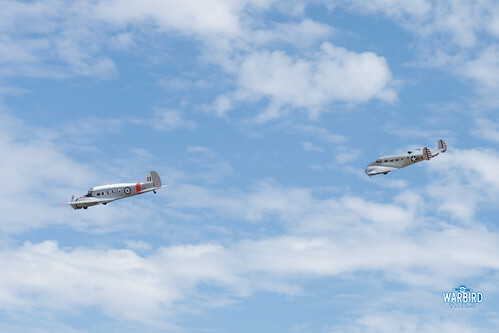 This routine saw the pair fly in close formation before a dynamic tail chase. 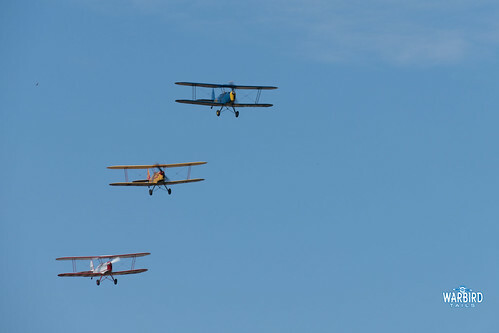 The family theme brought a number of formation and aerobatic displays to Old Warden. A spirited solo display was delivered by the aerosuperbatics flying circus wing walking team and the little and large duo of full size and remote control extra provided another unique sight. Winds were kind on the day which allowed a number of great war types to take to the sky, many of which were not originally billed. 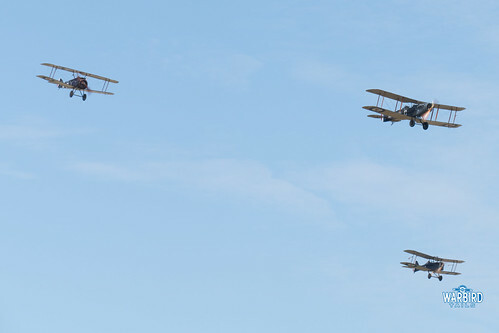 A notable highlight was the sight of the collections Bristol F2b, SE5a and Sopwith Camel flying together in formation. Having three WW1 aircraft parading around the airfield in close formation was very impressive, especially given the Camel’s well documented handling difficulties. 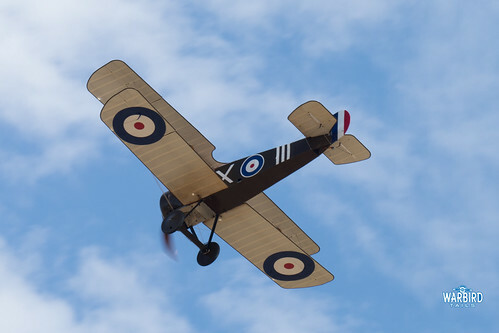 The Sopwith Triplane and Avro 504 also performed. 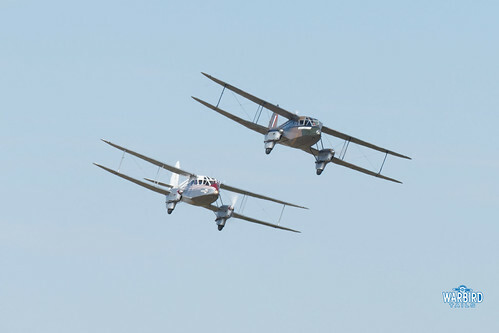 Two 1930s biplanes made memorable impressions with a graceful solo display from a Bucker Jungman and a well flown three ship display from the Stampe Display team. 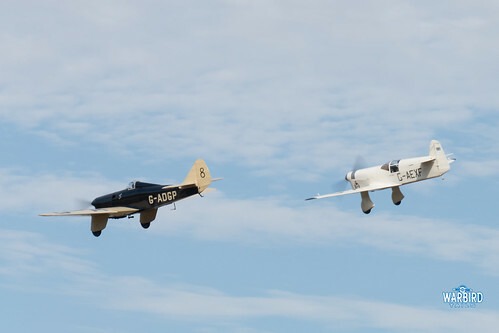 At the more modern end of the scale there was a typically energetic performance from the Callidus Auto-Gyro, alongside a performance form a Rans Coyote, telling the story of the schools “build a plane” project. An undoubted highlight for many at the show was the debut of the Miles Hawk Speed Six since returning to the Shuttleworth Collection. This wonderful racer performed alongside the collection’s Mew Gull. The arrival of the speed six adds to the collection’s impressive racer collection. It is unsurprising, given its Miles pedigree that this machine is so beautiful. The prospect of the Mew Gull, Comet and Speed Six flying together in the future is a truly exciting prospect. On a similar racing note, it was also a nice change to see the Comper Swift return to a Sunday show, taking on the Joker role while the gliders climbed to height. The family airshow delivered a wide array of displays ranging from gliders and parachuting right through to barnstorming and high performance aerobatics. A thorough account of airshow history which fits the family theme perfectly.